Misleading Advertising in Wood Stove Industry: Is there a better way to move forward? Companies or retailers who run advertisements like that now could receive a letter or email from the EPA, requesting that they stop using such language. Vogelzang’s website, like the sites of the other companies that make exempt stoves says: “Vogelzang stoves meet EPA requirements for "exempt" wood/coal burning appliances (stoves).” This is still confusing for the consumer but it is technically accurate and apparently acceptable language for the EPA. US Stove Company’s website simply says “EPA exempt.” Any consumer who did not understand that could research it within minutes. But its unclear how many are confused and how many figure it out. A few stove manufactures, such as Vogelzang, still advertise that their stoves are eligible for a tax credit of up to $300, even though the tax credit expired five months ago, on December 31, 2011. Energy audits have two primary goals: 1. Identify how a family can conserve energy and save money and 2. Identify important health and safety issues in the home. 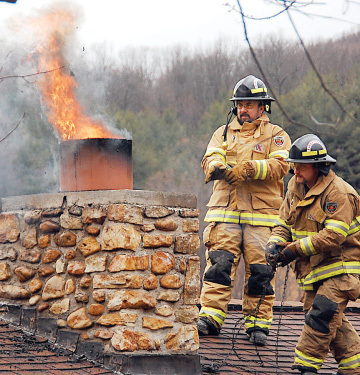 Often, the wood stove is overlooked in audits, even though it may be the primary heating appliance in the house and can be a major source of carbon monoxide and a leading cause of house fires. “The Alliance for Green Heat believes it is scandalous that energy audits, particularly in rural, northern areas, do not address wood stoves like they address furnaces and boilers,” said John Ackerly, the group’s President. “Its time for energy auditors to expand their audits to address these health and safety issues in rural, low-income homes,” Ackerly said. The Alliance for Green Heat is calling on the relevant federal and state officials as well as groups like Building Performance Institute (BPI) to improve standards for energy audits. Most energy audits check for carbon monoxide leakage, but since blower door tests are also routinely done, auditors instruct homeowners not to have a fire in a wood stove or fireplace. This prevents the auditor from checking for elevated carbon monoxide leakage from the wood stove. Moreover, energy audit standards, such as those set by BPI, do not include checking whether a wood stove is EPA certified or whether gaskets are missing. And, there is no accepted criterion for auditors that would signal when a wood stove is a “health and safety issue” and should be replaced. The result is that wood stoves far past their lifespan are not being replaced at nearly the same rate as old and unsafe furnaces and boilers, even when they are the primary or a substantial secondary heat source. In response to requests from energy auditing companies who wanted to better market themselves in rural areas, the Alliance for Green Heat developed an Energy Auditor Checklist for Wood Stoves. 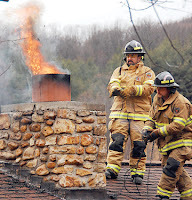 Now the Alliance is using that Checklist as a practical tool to show federal and state officials how and why assessing wood stoves should be a vital part of an energy audit. The Energy Auditor Checklist for Wood Stoves is still being improved, and input is welcome. Click here for a copy. In many states, low-income families are eligible to have their current heating appliance replaced if it’s inoperable or a danger to health and safety. Families on low-income heating assistance (LIHEAP) in all states are also eligible to have their heating appliance replaced if it’s inoperable or a danger to health and safety, but only if it’s their primary heating appliance. However, many if not most families whose primary heat is a wood stove, claim their low income heat assistance for their secondary heater, such as oil, propane or kerosene. They do this because the benefit amount is often larger and they cannot obtain those fuels for free, as they can with wood. And, many energy auditors and state officials consider wood stoves to be a de facto secondary, space heater, even when most of the home’s heat comes from it. This has contributed to programs overlooking the wood stove and potentially dangerous conditions. 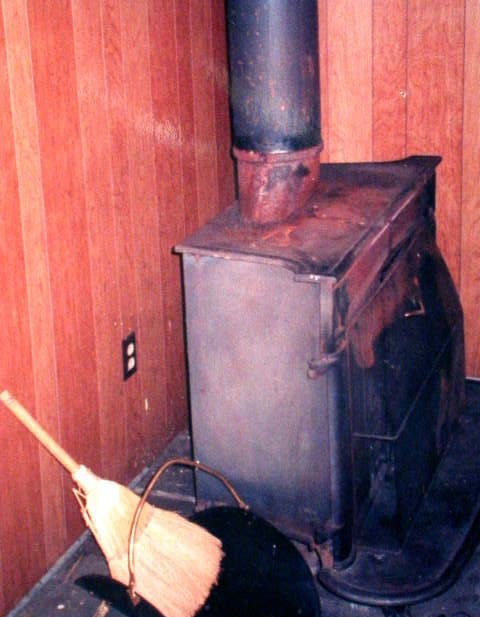 The surge in primary heating with wood stoves that occurred between 2000 and 2010, leading to a more than 100% rise in primary wood heat, was achieved not just by consumers buying new EPA certified stoves, but often by consumers dusting off old, uncertified stoves. Compared to new, certified stoves, old stoves produce far more smoke and creosote and are more likely to have cracks and metal fatigue. This rapid rise in wood heating is one of the major reasons that the federal government and states need to ensure that standards for energy audits and related programs are not biased against those who have taken up wood heat or returned to wood heat. Another reason energy audits should better include inspections of wood stoves is that installing old stoves, which are neither EPA certified nor UL listed, is still legal in most places outside Washington State. Many homeowners try to install these old stoves themselves without the owner’s manual, resulting in them being installed too close to combustible surfaces or not vented according to code. And, the EPA still allows the sale of stoves that are exempt from emissions standards. Although they are UL listed, these exempt stoves are likely to have health and safety issues far sooner than EPA certified units. If your state is overseeing standards for energy audits and/or subsidizing them, we urge you to contact the relevant state office and urge them to ensure that wood stoves are assessed during energy audits. The recent election of Socialist François Hollande as France’s next President may herald a return of generous incentives for renewable energy, including wood and pellet stoves and heaters. 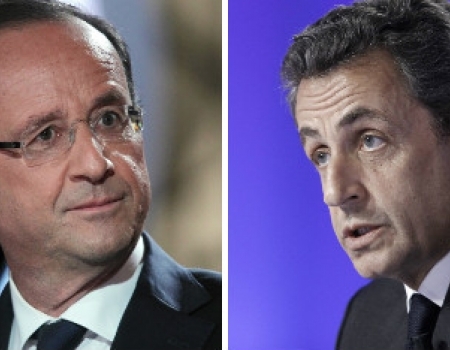 Ousted President Nicolas Sarkozy, a conservative, was a staunch supporter of nuclear power. Under his presidency, incentives for renewables were drastically reduced. Unlike the United States, France and most of Europe includes thermal energy in its renewable energy standards. In France, wood heat was projected to produce 7.2 Mtoe (million tons of oil equivalent) of energy by 2020, whereas geothermal and thermal solar was only projected to produce a combined 2.9 Mtoe. France has been active in promoting residential wood heat through its policies, which have so far been effective in increasing the number of households using wood. For instance, the country developed an extensive program to encourage the use of wood fuel for heating in collective housing and as a result, experienced an increase of 37.5% in this area between 2006 and 2007. In individual households, the Wood Energy Plan in 2007 led to an increase of 82.5 % of the wood energy equipment sales. In 2005, tax credits were set at 50% for equipment using renewable energy sources including efficient wood fired boilers, masonry stoves, etc. The sustainable development tax credit was planned through 2012, but the rates fell rapidly from 50% to being phased out altogether. For more info. In the US, the nationally recognized, government sanctioned label Energy Star doesn't have a program for wood and pellet stoves yet, so federal and state incentive and change-out programs are left to determine what emission and efficiency standards government funds should incentivize. The national tax credit that expired at the end of 2011 set a 70% lower heating value threshold, but it did not stipulate how efficiency should be measured, nor did it require independent third party testing and reporting. Manufacturers were allowed to certify that their own products met the threshold (virtually every stove did). It's far too early to tell whether incoming President Hollande will also work to increase efficiency and emission standards in France or whether the incentives will return to the 50% level any time soon. It may be more likely that the incentives would be in the 20 - 40% range. Hollande also says that he will work to reduce France’s dependence on nuclear power to 50 percent by the year 2025. Currently, 75% of France's power comes from nuclear. It also exports some to Germany and other countries. * Many European countries have adopted their own eco-labels to serve as minimum standards for the equipment that receives government incentives. Some of the stoves that met the 65% and 70% efficiency thresholds in France are widely regarded as being very basic stoves and would not receive incentives in many other European countries. In 2010, the Alliance for Green Heat and VU University Amsterdam undertook a joint research project which showed that heating with wood pellets can emit about one tenth the carbon as heating with oil and one sixth the carbon if heating with natural gas. Somehow, this study is now circulating on the web again and we are getting lots of requests for it. "Pellet use leads to emission as low as 6.04 g CO2/MJ, whereas the lowest polluting fossil fuel emits 62.8 g CO2/MJ. The most important conclusions in this report are that the used wood must, ideally, not be shipped from the West Coast of Canada to Europe and the wood used must be harvested sustainably for the carbon neutrality to be maintained. The latter aspects in the LCA and logistics chains are the most important features of the delicate CO2 balance of this source of heat. Debates about this topic are still in progress, both among scientists and legislators, and provides, in itself, a great opportunity for further research." According to the Environmental Protection Agency (EPA), the draft NSPS proposal has not yet been sent to the OMB because the OMB is backlogged with other regulations that take precedence because they are court ordered. The OMB then has 90 days for their review. Then the public has a 90-day comment period. When the last delay was announced, EPA said the draft would be published in the Federal Register in June or July. Now, August is the earliest but with no firm deadlines, September or October seems likely. This is likely to be either the 4th, 5th or 6th significant delay, depending on how or who is counting. With this newest delay, the possibility that the publication of these draft regulations will come after the November elections looms larger. Some representatives of industry say that a Republican victory in November is likely to lead to less strict emission and efficiency requirements in the NSPS. “For the most commonly purchased appliances – the wood and pellet stove – this NSPS represents business as usual except for the potential impact of a minimum 70% efficiency requirement,” said John Ackerly, President of the Alliance for Green Heat. “Buyers of wood heaters deserve to know that they are getting at least a 70% efficient stove,” said Ackerly. The Alliance for Green Heat is also an outspoken critic of EPA proposing the same emission standards for pellet stoves as for wood stoves. “Allowing pellet stoves to emit up to 4.5 grams an hour serves no one’s interests and is just a give-away to industry. Ultimately, it may even undermine the motivation and ability of jurisdictions to promote pellet stoves as a cleaner appliance,” Ackerly continued. HPBA reports that one factor contributing to the delay is that states are apparently still telling EPA that some parts of the new rules do not go far enough in reducing emissions from new heaters. HPBA says it is preparing responses to many of the specific issues raised by the state air agencies. Top on the list of concerns for HPBA includes the new efficiency targets, the plan to co-propose a new, lower target for hydronic heaters and concerns about the value to the environment of changing the Category I burn rate in the test method. 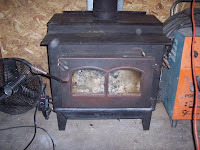 Is a permit required to install a wood stove in Maryland? If you're planning on installing a wood burning appliance, chimney or fireplace in your residence, it’s important to check whether you need a permit first. Beyond the health and safety of you and your family, securing a permit is usually important for your homeowners insurance - and for obtaining a generous rebate from the State of Maryland. Virtually every Maryland county requires either a building or HVAC permit for a new or replacement stove. The map below is now outdated so it should not be relied on, but it showed where wood stove permits were required in the state in 2012. Check with the Maryland Energy Administration site for updated information. They provide permit detail here. Regulations change, and your appliance might be an exception to the rule. 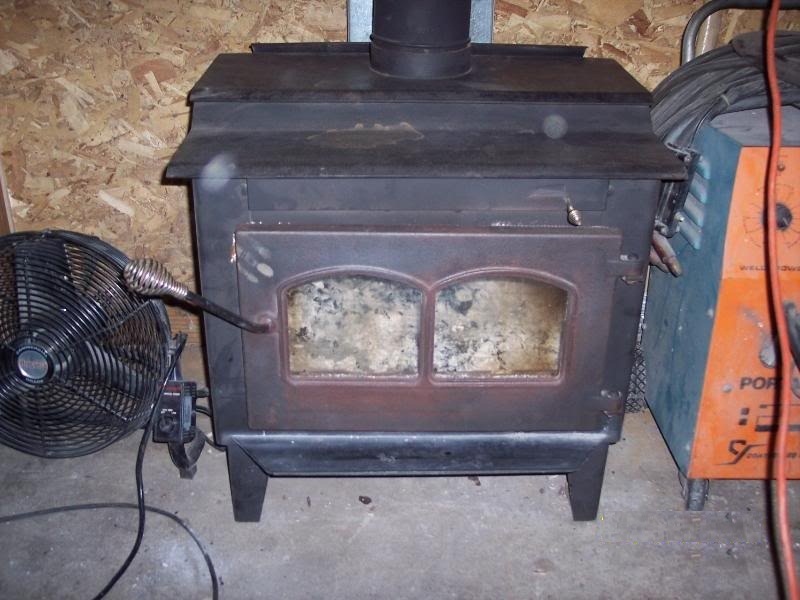 If you are planning on having a wood stove installed in your Maryland home, the best source of up-to-date accurate information will be your county officials. The easiest way to contact your local permit officer is through this Maryland governmental site that has phone numbers for each county code office. Page 4 of the application form for a rebate for a new wood or pellet stove has an excellent list of what kind of permit is needed in each country. Regardless of whether your county requires a permit, you should always contact your insurance company before installing a stove. 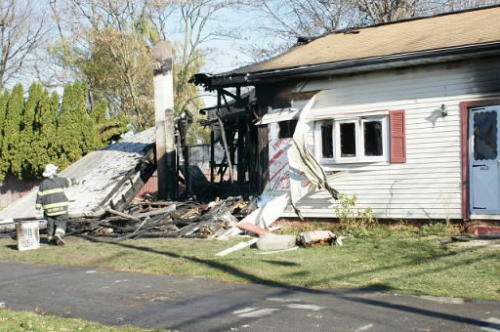 If you have an unpermitted stove installation and your stove causes a fire, your insurance company could deny your claim. For more information on this topic and a list of some states that have statewide permitting requirements, check here. On a final note, it's recommended having your stove installed through a NFI-certified or CSIA certified professional. Professional installers should be well versed in local building codes and help ensure a safe and compliant installation. One affordable way to complete a stove installation is to buy the stove through a big box store and buy the install kit and then have a pro install it. Big box stores sell some good quality stove brands and some not-so-good ones, so do some research first. Postscript: Maryland provides a $250 - $700 rebate as of January 2019 for qualified wood and pellet stoves, depending on whether its a wood or pellet stove and whether it has a verified efficiency.